My daughter, who is six, says that The Last Battle is her favorite book in all The Chronicles of Narnia. I don’t think it was my favorite, but it was definitely a great book to read. The allegories to the Christian journey continued and culminated with the last scenes where all the characters come back. We had to go back to the first volume to remember if the first king of Narnia, King Frank, was a policeman or a cabby (he was a cabby) because we had forgotten such details. It was good to recount who was who and who did what and when. The children remembered more than I did, which is a good thing. I have enough things to remember as it is. Information overload is the story of a mother’s life. One thing we have been doing more and more of is highlight humorous passages. For example, the kids laugh when a character says, “Hallo! What are we stopping for?” or “aii-aii-aouwee!” or “ow! ow! What d’you do that for!” They are beginning to take literature in and react and respond to different scenes and turns of phrases, the silly ones for now, but others later on, too, I am sure. That was my goal all along. 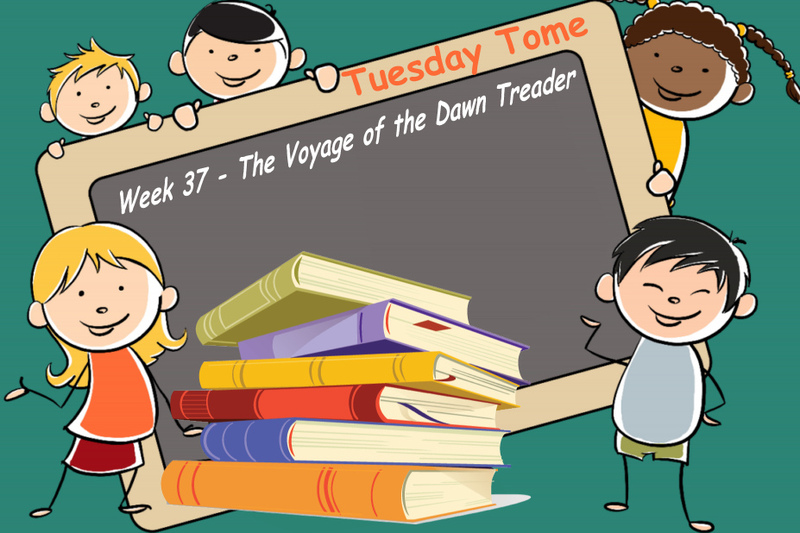 The Voyage of the Dawn Treader is the fifth volume of The Chronicles of Narnia by C. S. Lewis. The Dawn Treader is a Narnian sail boat which belongs to Prince Caspian. Lucy and Edmund join him on this ship and end up going to the end of the world in it. Prince Caspian is the fourth volume in The Chronicles of Narnia by C. S. Lewis. We read these books out loud – I read them to the kids – one chapter or two per day. They love Narnia. We also listen to the radio theater version created by Focus on the Family and watch the BBC version from 1988. The children liked Prince Caspian a lot. In fact, my six-year-old said she liked it better than The Lion, the Witch and the Wardrobe. I think I liked it better myself. The journey narrative made me think of our own journey through life. And then, why do we journey? A battle awaits at the end of a journey – a confrontation with envious, jealous people, who want to either kill us or take away our birthright. Whether they symbolize the forces of evil or mean-spirited people in our own lives, it depends on every context. But I can see this scenario repeated in small things and big things in the human experience and especially in the experience of a Christian – somebody who has taken God, the King of Kings, as their Father. Which, of course, makes us princes and princesses, heirs and heiresses. There were some funny parts, especially the ones involving Dwarfs. And then there was the chilling realization that the White Witch is back in a different form. Even the radio theater people, by using the same voice, made sure we got the hint. When I asked the children, they said they knew. They could tell it was her again. The moments when Aslan pops into the story are as touching as ever. My children love Aslan and they know he is a symbol of Jesus. The best part for me was the location of the battle: Aslan’s How. I think C. S. Lewis was brilliant when he came up with that. The method of Aslan or his “how” should be paramount in our minds and hearts. All in all, a great, meditative read. As we homeschool, we morph and change. The children grow and we grow with them. I drove them to Knoxville (one hour both ways) for three years to participate in Adventure Club – a scouting program through our church. Then, I got burned out. They were younger. No matter what we did in the car for their entertainment, they drove me crazy. My children have never traveled well. It was just too much driving for their age and it had to stop. Chronicles of Narnia by C.S. Lewis in radio theater form on 19 CDs. 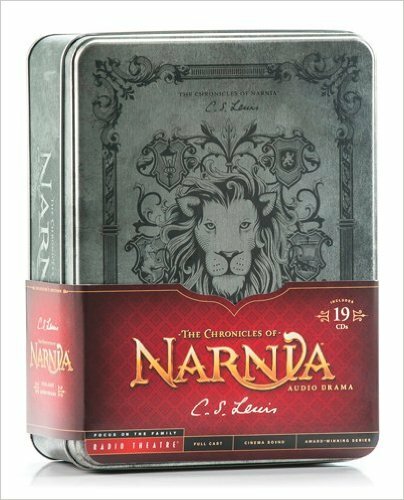 Volume 3 in The Chronicles of Narnia by C. S. Lewis, The Horse and His Boy was a completely unknown book to me. How sad! This book has fed me so much since we read it with the children. We also listened to it in radio theater form from Focus on the Family. The Lion, the Witch and the Wardrobe is the second volume of The Chronicles of Narnia by C. S. Lewis and, probably, the best-known and the most read. Peter, Susan, Edmund and Lucy spend their summer in the country because of the war (this was World War II England – a chance to discuss some history with the kids), in the home of an old professor. There, Lucy walks into a wardrobe and, from there, into Narnia, a magical land. The Chronicles of Narnia by C.S. Lewis have inspired me and the children in many ways. I will attempt to cover several in this blog post but there will be more points coming, as I will write about each volume in a separate post.